It’s a very exciting time for us here at FenestraPro, as we are celebrate the launch of FenestraPro Premium for Revit Version 4.0! 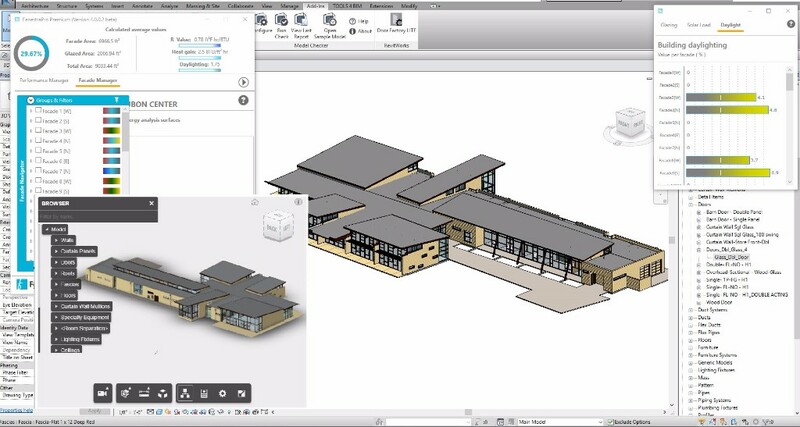 Integration of the Autodesk Forge viewer platform. Choice of Building Elements and Spatial Elements calculation methods within the detailed Revit model to ensure support for your model at any stage. Improved Generative Design capabilities, on window penetrations and curtain walling. To assist the use of FenestraPro Premium Version 4.0 we have also provided an in-depth user support guide which is available on our site and on Vimeo . Version 4.0 is still in Beta release, so should you come across a problem or two, feel free to send us a message on our newly installed live chat support function! Talk to our vastly experienced staff members any time, who will answer your questions efficiently and provide you all the support you need from start to finish. To install FenestraPro Premium just click here. You won’t need to uninstall your previous version – it will automatically overwrite for you. Send us your feedback here or through Twitter, Facebook or LinkedIn and let us know what you think!